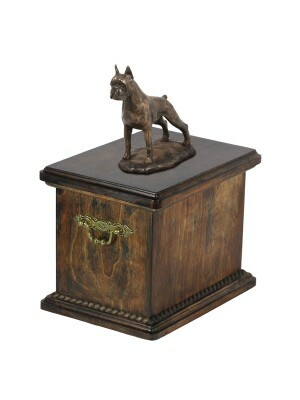 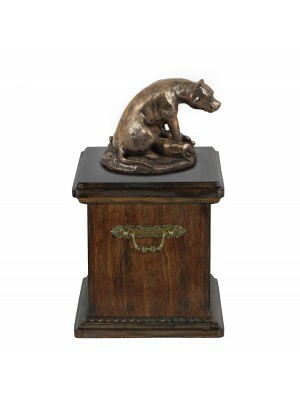 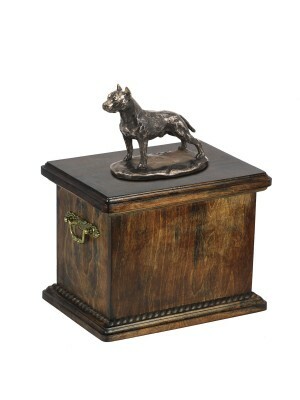 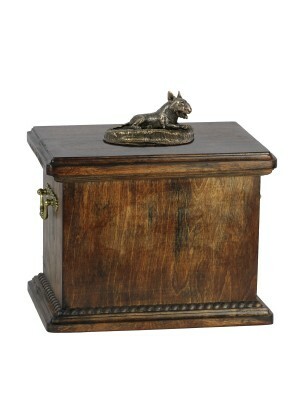 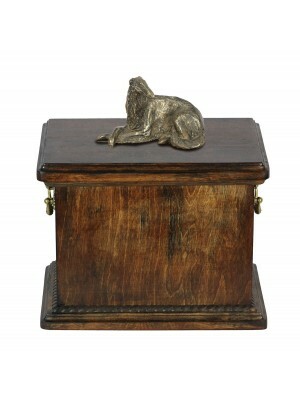 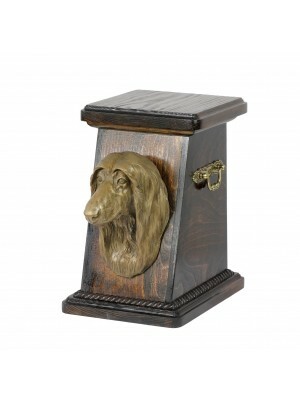 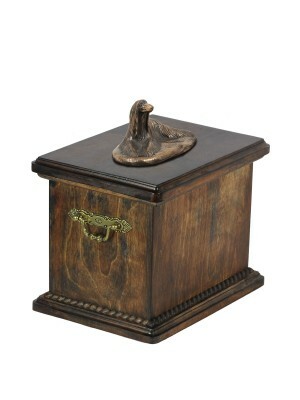 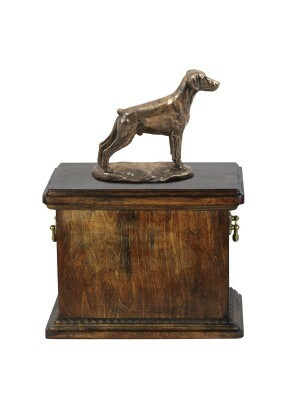 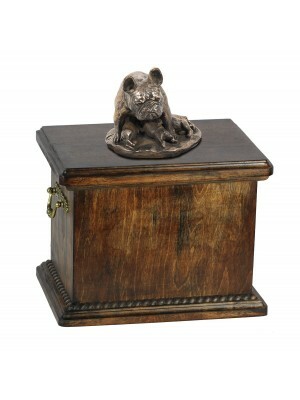 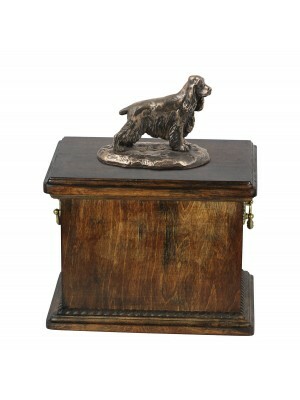 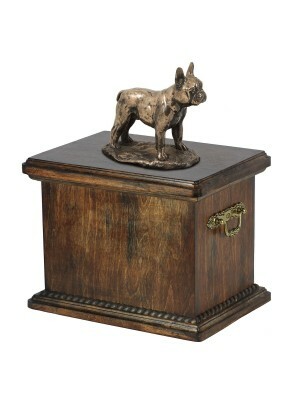 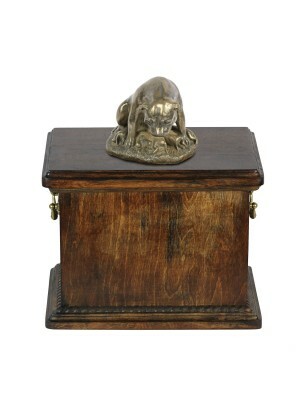 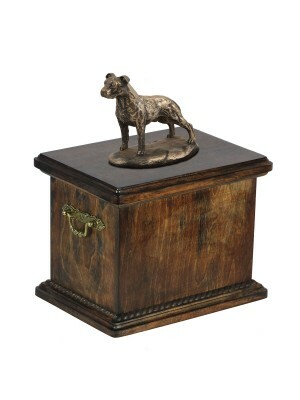 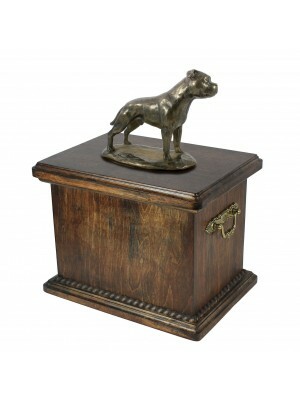 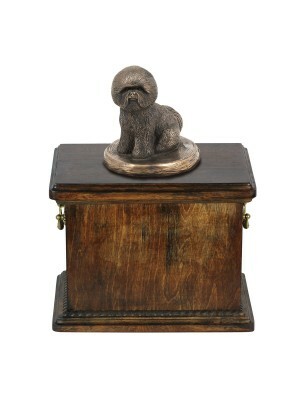 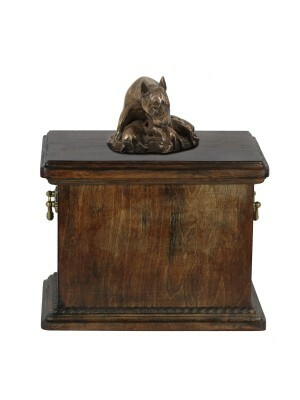 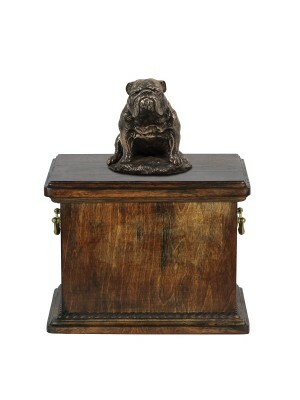 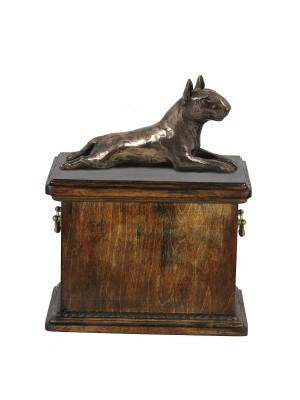 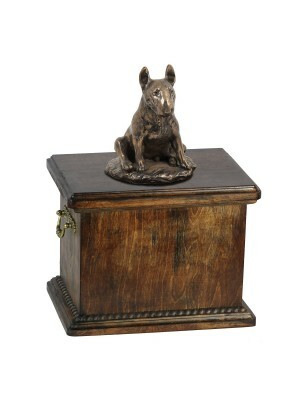 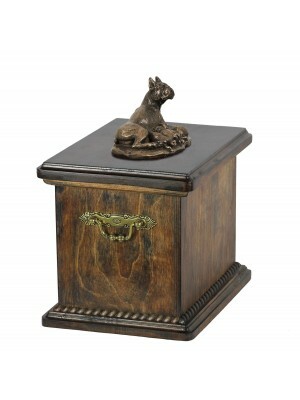 High quality handmade products from category Urns with dog. 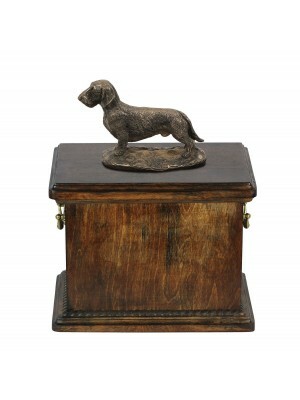 The dog is man's best friend, a loyal companion, and the cure to all sorrows. 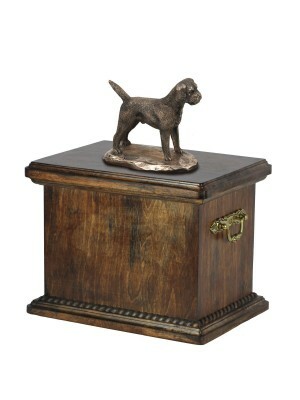 Enthusiasts of those clever pets feel sorrow when they past away. 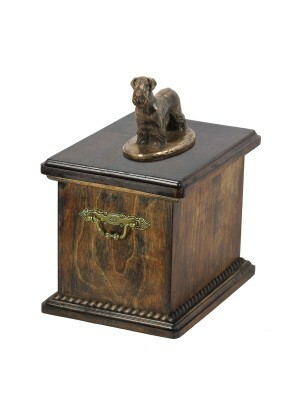 For those who want to prepare place of eternal rest we can offer urns for dogs. 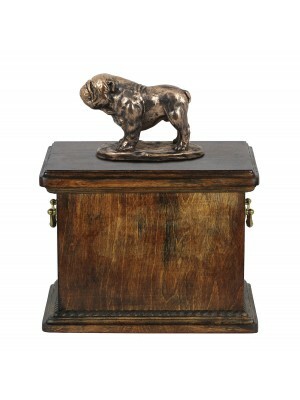 Elegant wood made urns with a wide range of statues of any breed. 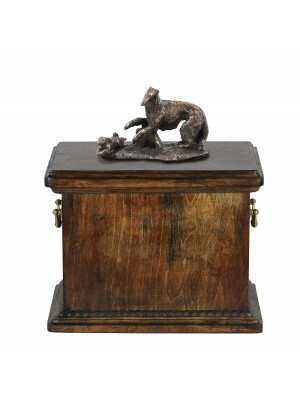 The stylish figurines on top were made only with materials of the best quality. 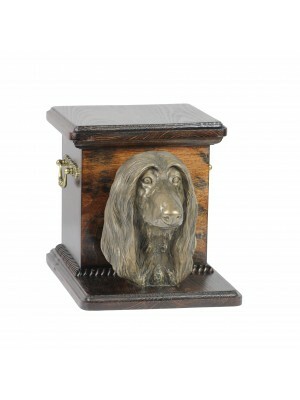 The products available in ours store can be sent to any place in the world. 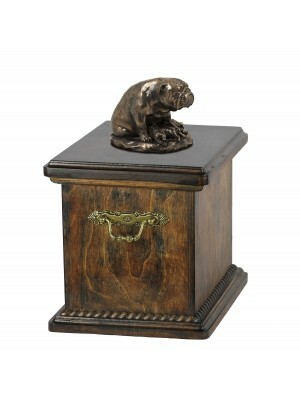 All the urns that are available in the offer of our store are crafted by talented artists. 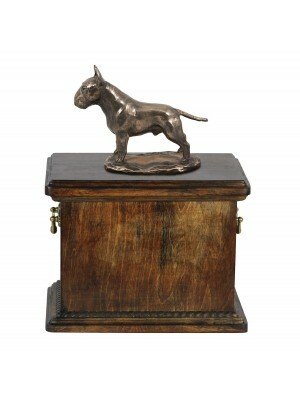 They treat their work with involvement and passion, so the final shape of figurines on top is just wonderful. 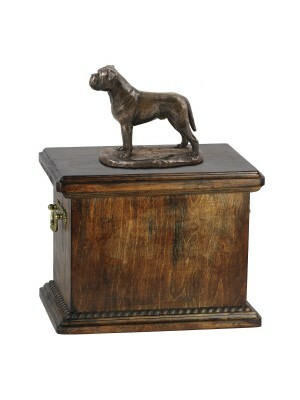 Each sculpture was created with great attention to detail in order to reflect the true appearance of a particular breed of dog.